From the busting capital to serene desert landscapes, this ideal add-on tour to any Oman beach holiday will introduce visitors to the country’s own ‘Grand Canyon’, hot springs, rugged mountains, ancient forts and nesting turtles on unspoiled beaches. Depart from your hotel early morning (around 8am) and after a short visit at a fish market, explore the hot springs of Rustaq Fort which are said to have medicinal qualities. Also stop for a photo opportunity at Al Hazm Fort in Rustaq, famous for its gates which are adorned with verses from the Holy Koran. 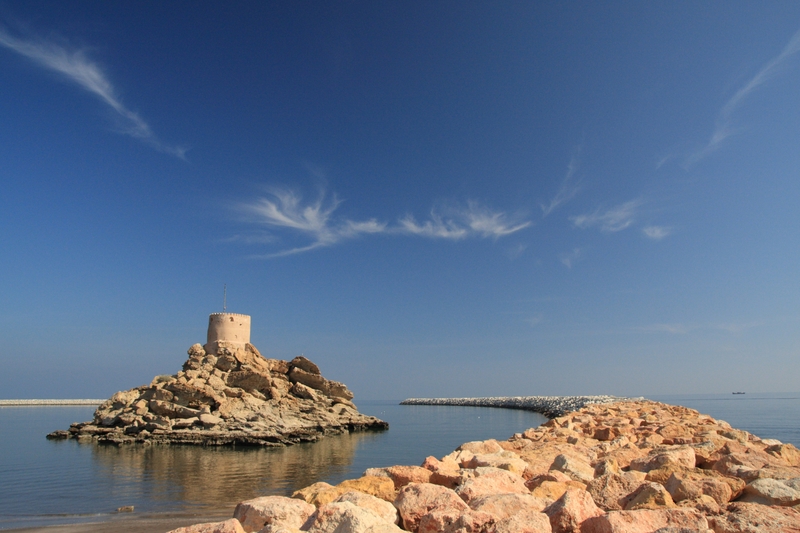 The next stop is the 350 year old Nakhl Fort followed by a visit to Al Thowara Oasis, a source of natural springs. Drive further in to the Hajar Mountain range, exploring Bilad Sayt, a village famous for its clay houses and see the oasis in which the village population lives. After this visit, enjoy a picnic lunch at the peak of the Hajar Mountain. Oman’s “Grand Canyon” is situated amidst the rocky terrain of the Jabal Shams Mountain, is over 3,000m high making it the highest mountain in Oman. The tour route covers 270kms and guests will arrive at their overnight accommodation at approximately 4.00pm. After breakfast early morning (around 8am) visit the Nizwa Fort overlooking the ancient city with its colourful domes and bustling market below. 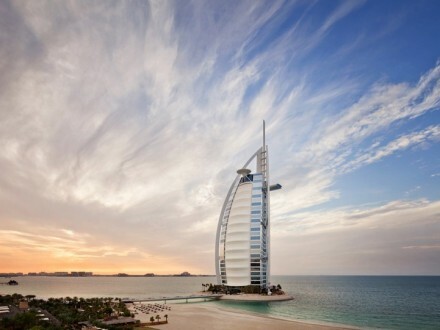 Spend some time in this traditional city, visiting the fort with its round tower, the museum the Souq. 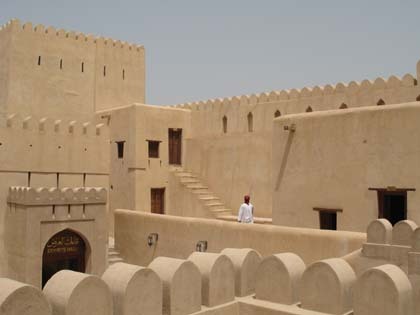 Nizwa Fort, built by Imam Sultan bin Saif al Ya’arubi in 1668, is the biggest fort in the Arabian Peninsula. The fort was once used as the Imam’s headquarters and designed to withstand the most aggressive of sieges. The traditional doors are inches deep and over the lintel of each is a hole through which boiling oil could be poured over the marauding enemies! From there continue to Birkat al Mauz, a settlement of clay ruins (ancient houses) that are still partially inhabited. One can also see how the traditional irrigation system that was used centuries ago still nourishes the oasis. Then drive up to Jabel Akhdar, or Green Mountain. The trip is a 4 WD ride up the precarious mountain side. Enjoy a picnic lunch en route with time to take in the breath-taking views. Afterwards drive via Sinaw and Ibra to Wahiba Sands, a mass of undulating sand dunes where the bare wilderness of the desert emphasises the beauty of the pristine golden sand dunes surround the simple and tranquil camp located here. Enjoy an exhilarating round of “dune bashing” in 4 WD. The sands are the traditional homes of the nomads and the Bedouins, so you may see them in transit with their camels. In the middle of the desert, stop to visit a Bedouin home, with an optional camel ride. Sleep, sheltered by Bedouin style accommodation under a roof of starry skies. Enjoy a traditional Arabic meal, Omani coffee and dates. Arriving at Desert Nights Camp at approximately 4.00pm, Day Two’s drive covers a distance of 400km. 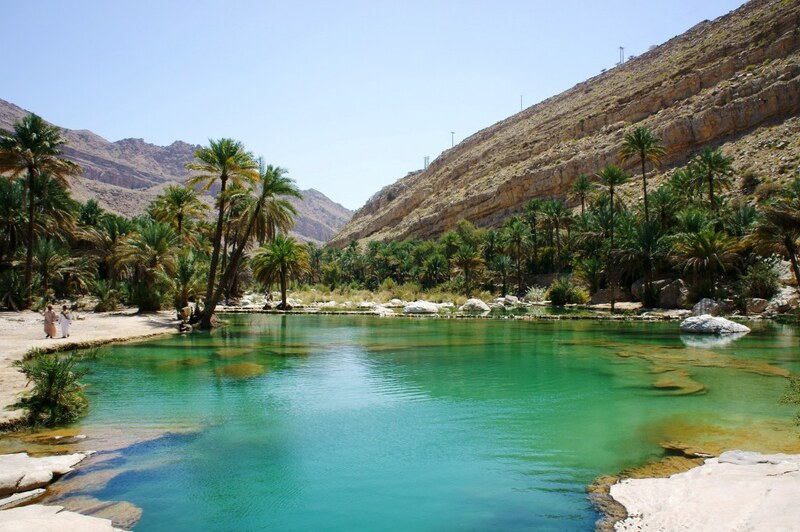 After breakfast leaving the desert (around 8am) visit Wadi Bani Khalid, a beautiful wadi with clear deep blue waters. Catch a glimpse of the pretty villages scattered all over Wadi Bani Khalid as they cling precariously to the slopes of the rugged mountain-side. (Please pack your swimwear, the clear waters of the Wadi are very inviting! Also note that light clothing and walking shoes may be more suitable on this trip). Continue towards to Ras Al Hadd. Check in to the hotel and have a short rest. After dinner at around 9pm the rangers will divide, you into groups of 10-15 people when you will take a short walk to view the nesting Green Turtles on the calm beaches of Ras Al Jinz. The turtles can be seen late at night (9pm to 11pm) and then again early in the morning (about 4 am). Enjoy this natural phenomenon – an experience that’s guaranteed to stay in your memory for a long time. 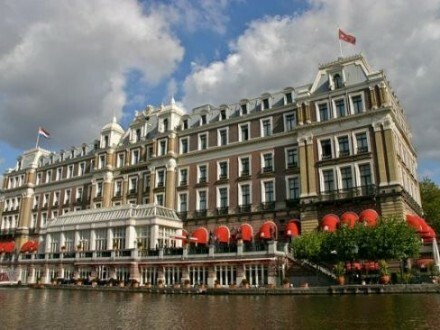 Sightseeing on Day Three includes approximately 250km of driving and guests will arrive at their chosen hotel between 2.00pm and 2.30pm. After breakfast continue to Sur and visit the fishermen’s harbor and the Dhow building yard, to see these traditional Omani wooden fishing boats that are built by hand. Continue via Qalhat where Bibi Miriam’s tomb is located to Wadi Shab. Then proceed to the white beaches of Finns for a picnic lunch followed by a visit to Bimah Sinkhole, a natural hole in the ground created by a collapsing mountain. 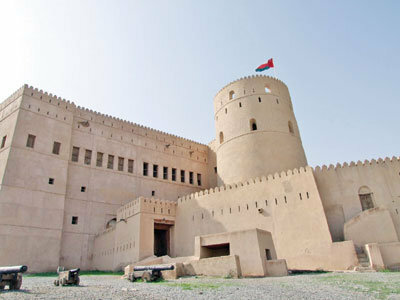 Finally, pass through the village of Quriyat, guarded by its 18th century fort and return to Muscat. Drop off at Muscat hotel. The coastal route taken on Day Four covers approximately 250km, and guests will be dropped off at their Muscat Hotel around 3.00pm. The tour includes: English speaking guide, 4WD vehicle, mineral water on board vehicle on all days of tour, entrance fees if and where applicable, taxes and service charges and accommodation and meals as specified. Kindly note some sites are subject to closure due to religious festivals, Government holidays, weather conditions and seasonality. Not included: International Flights, Oman Visa: on arrival USD 53.00 (OMR 20) per person for stay more than 10 days / USD 13.00 (OMR 5) for stay less than 10 days, prearranged visa USD 70.00 per person, any item of personal nature, any meals / beverages which are not mentioned under included services, tips and porterage, any optional tours / excursions, any pre / post tour accommodation. 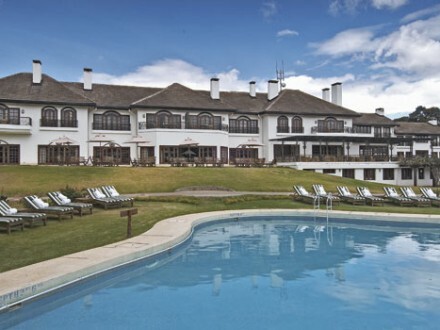 Prices include accommodation as specified in the itinerary, breakfast daily, entrance fees, all transfers, full programme as specified and transportation in a private air-conditioned vehicle with an English-speaking chauffeur guide.